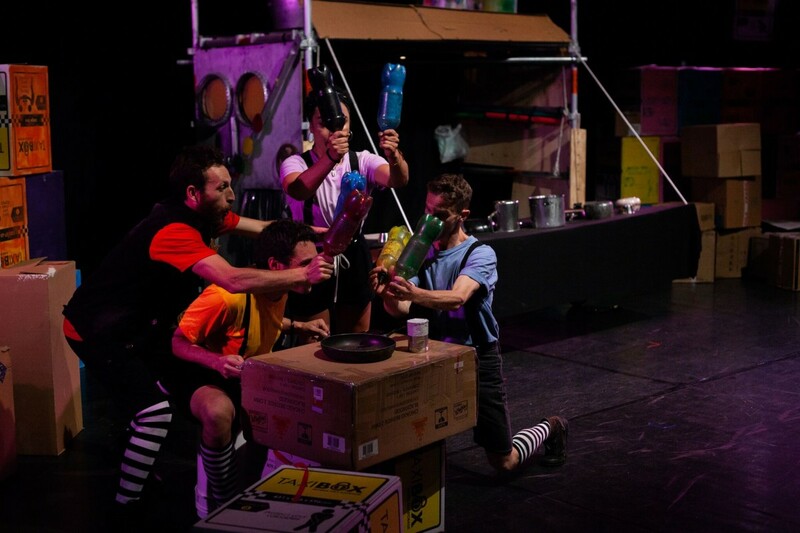 In the hands of Junkyard Beats, ordinary household items are transformed into extraordinary musical instruments and unwanted junk comes alive in exciting and surprising ways. 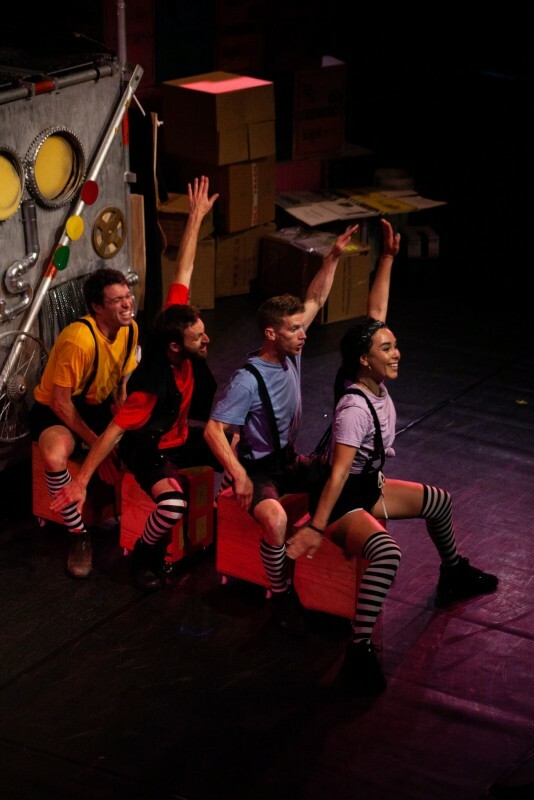 THE BOX SHOW is designed to excite the imagination of children and adults alike. We follows four characters during their daily activities in a world made of cardboard boxes and junk. These daily activities result in a rhythmical journey revealing hilarious circumstances as we fall in love with each and every one of them. 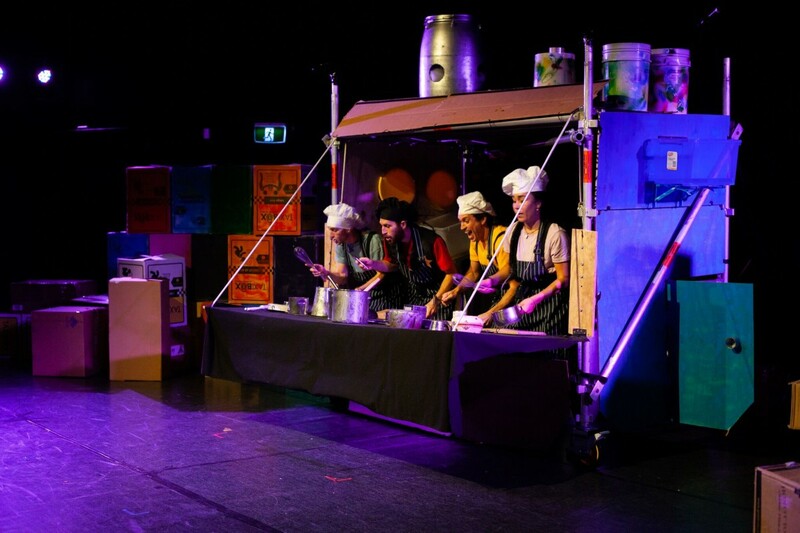 With a language of gibberish and rhythm, this show is accessible to any age and nationality. 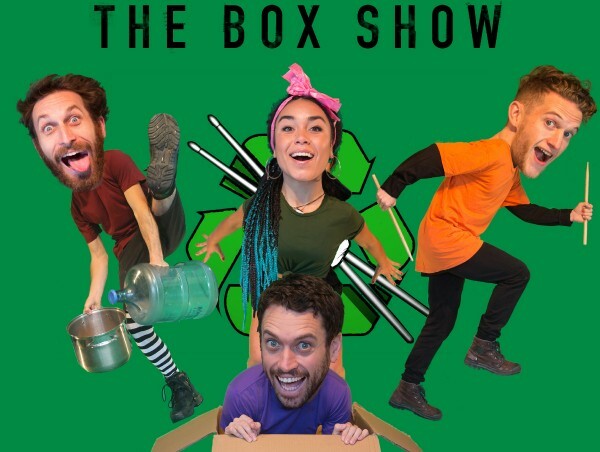 You won't look at a cardboard box the same way after watching this show! The contents of an abandoned kitchen become the greatest drum set in the world. Pipes from a plumber's van produces eerie melodies. Plastic bags are an amazing musical instrument and wheelie bins suddenly get a whole new meaning. 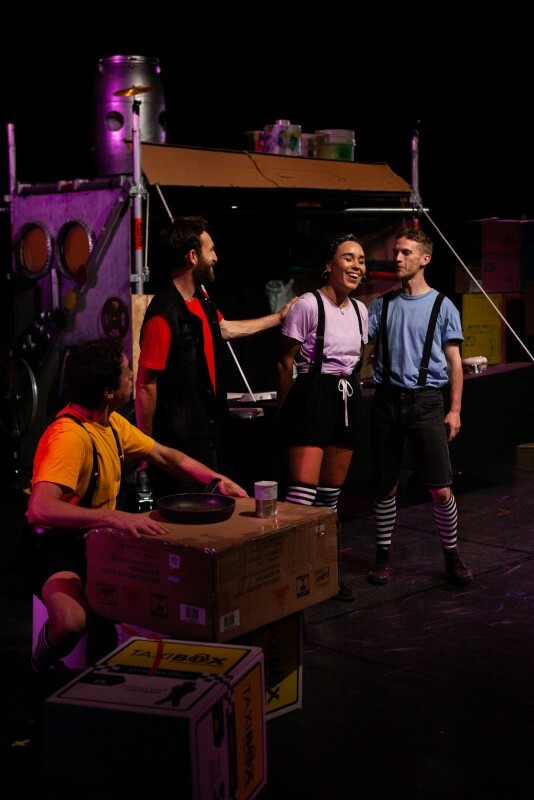 Tag along for a day in the life of a bunch of musical misfits as they reinvigorate the junk that the world has forgotten. 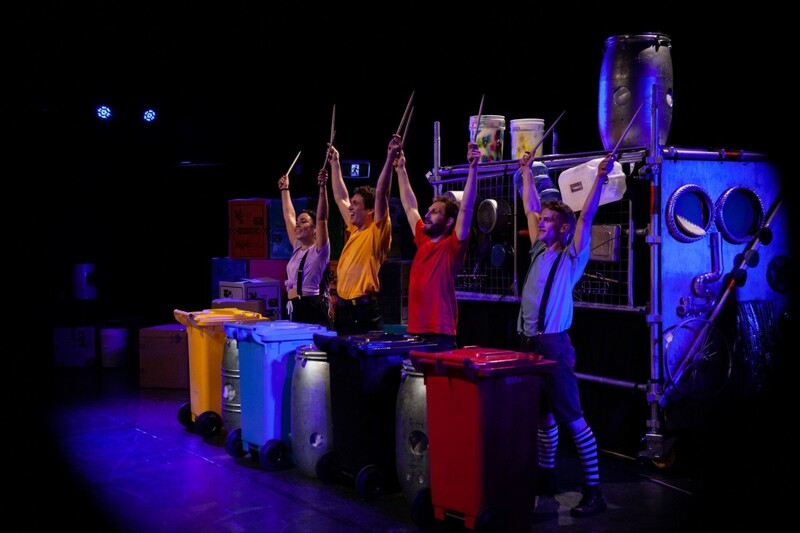 Learn about sustainability with this high energy, imaginative music-in-education performance combining drumming, dance, theatre and comedy. Founder and Creative Director, Oded Prior was born and raised in Israel and started to play the drums when he was 13 years old. He began experimenting with objects lying around his home to create sounds and discovered that anything can be a drum, including the human body. After years of touring with some of the world's top rhythm and percussion groups, Oded has found true passion in connecting communities and spreading environmental awareness all over the globe through music and creative recycling. He has taught rhythm workshops and master classes around the world and recently did a TEDX talk about his rhythmical journey.